Aside from trying it on when purchased last year second hand it hasn't been worn by me, the underlay on this particular one is tan which really shows off the details in the lace. Sophisticated and Luxurious Sasha is the luxe version of the ever so popular Frankie. 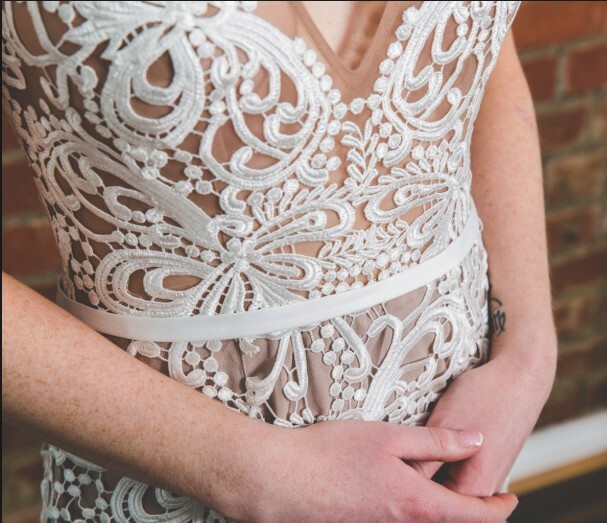 The gorgeous crochet lace that delicately covers a tan underlay creates so much contrast and the invisible neckline makes the dress totally irresistible. It is the diva of the two and is gorgeous.